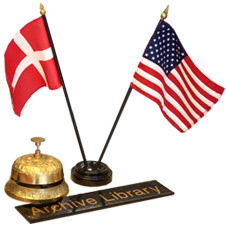 Welcome to The Danish American Archive and Library web site. Located in Blair, Nebraska, the Archive contains the country’s largest and broadest collection of materials relating to the life experience, cultural heritage and vital contributions to North America of the people of Danish extraction. Check out what's happening at the DAAL on our Facebook page or in Jottings, the DAAL newsletter.